This is not what we needed to hear today. 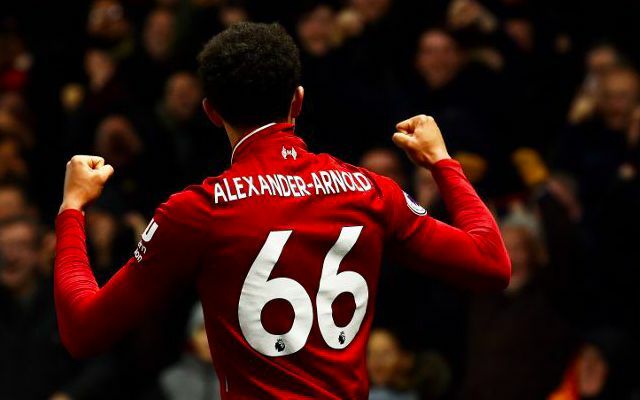 Trent Alexander-Arnold, who shone against Brighton at the weekend, is expected to be out for a month with a very untimely knee injury. This is what’s being reported by Chris Bascombe in the Telegraph, who state that Trent tweaked knee ligaments before the match at the Amex, and despite the fact he was able to get through it, will now face a lengthy spell on the sidelines. He’ll miss our crucial Premier League games with Crystal Palace, Leicester, West Ham and Bournemouth, and likely the first Champions League tie with Bayern Munich – which is all the more problematic because Virgil van Dijk is also suspended. Liverpool loaned Nathaniel Clyne to Bournemouth this January, which is now looking a very poor decision. At right-back, Jurgen Klopp must now field somebody who doesn’t play the position naturally. Fabinho is an option, as is James Milner – and Joe Gomez is returning from injury at the end of the month. Ki-Jana Hoever, the 16-year-old who played in the FA Cup tie v Wolves, is probably the fourth choice option after this trio.